Last night we went to the State Fair, mainly for dinner, but of course we looked at plenty of things while we were there. We checked out the chickens, ducks, rabbits, cavies, cows, pigs, llamas, goats, and sheep, located in four different buildings. 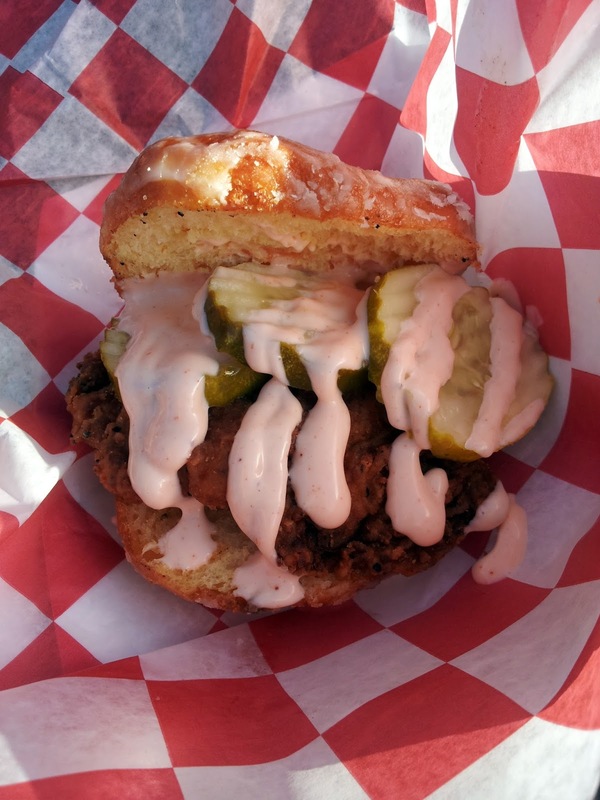 It's a Southern Fried Chicken Donut, slathered with chipotle mayo and pickles. He rated it as being one of the two best sandwiches he's ever eaten. And that's high praise from him since he's been known to drive 4-5 hours just for a slice of pizza or a sandwich. 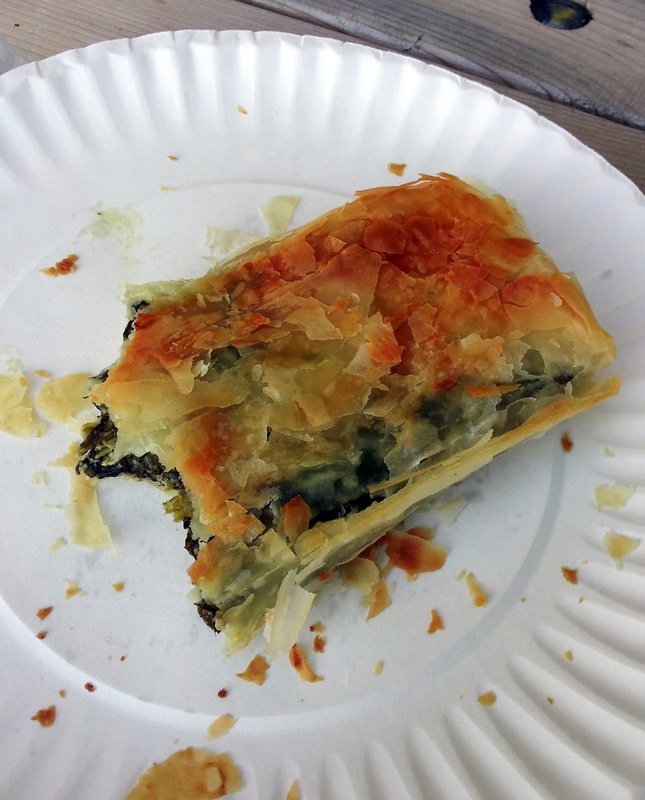 I found the very idea of it unappealing, so I went to my go-to vendor for a piece of spanikopita. Yummy flaky, greasy goodness. For dessert we got soft serve maple ice cream, my all-time favorite. No pictures because I, uh, scarfed it down too quickly. In the Center of Progress Building we checked out the sand sculpture. 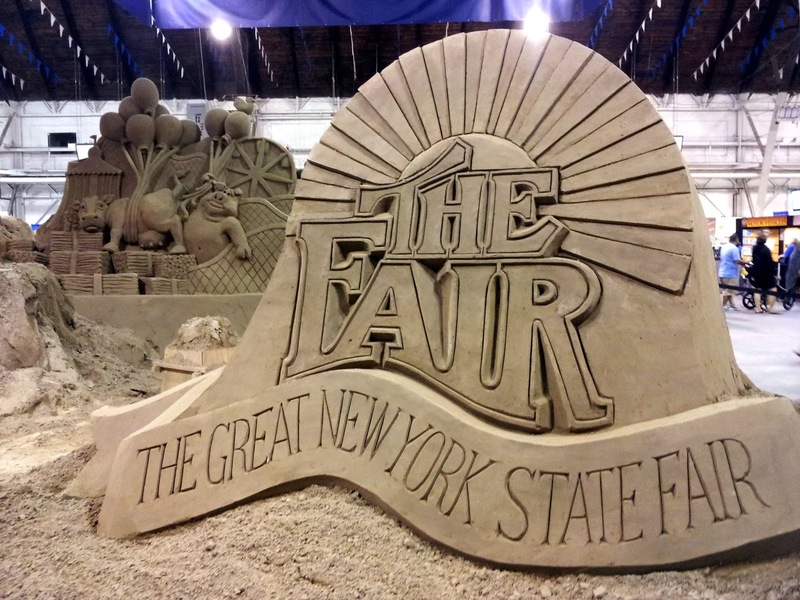 As it was only day 2 of the Fair, the sculpture is nowhere near finished, but the theme was obvious. We only purchased one set of advance sale tickets, but I suspect we will return for another visit and more importantly, more food! LOL! What a riot. Wish I were there!!! YUM! And so many things to see--like the art and photography and horses and pigs and llamas and sheep and goats. Love spanikopita! Looks like you had a great time. I love fairs and their food stuffs! !